Tap Dat App™: Appload™ #5 - Tap Tap Revenge 3, Shrek Kart, Skee-Ball, & MORE!!! 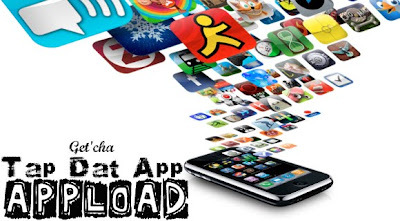 Appload™ #5 - Tap Tap Revenge 3, Shrek Kart, Skee-Ball, & MORE!!! Sorry for the minor delay between Apploads™ everybody but earlier we did post an Exclusive Look at Ngmoco's two new Blockbuster apps, so we hope you can forgive us ^^ Anyways, here's y'all's Appload™ #5 with a New Appload™ Logo! Aqua Globs is a game much like Flight Control, Harbor Master, and the Bait Master Mini-Game playable through Pocket God but with water blob-like creatures! You draw lines to connect globs, make them bigger & disappear, and avoid ones of opposing colors to cross paths. The game has been updated quite a few times now with multiple maps & various other 'aqua globs' added. It's not our favorite type of game, but you may like it - Take A BET for **Current Sale: $.99 - Normal $1.99** OR DON'T. And that my friends is Appload™ #5, we hope you enjoyed it! Don't forget to follow the TDA Team on Twitter at @TapDatApp for instant updates frequently throughout each week! 0 Responses to "Appload™ #5 - Tap Tap Revenge 3, Shrek Kart, Skee-Ball, & MORE!!!"